On December 19, the House of Representatives passed the Museum and Library Services Act (MLSA) by a margin of 331–28, and it was signed into law on December 31. The bill, also known as S. 3530, reauthorizes the Institute of Museum and Library Services (IMLS) through 2025. Voters turned out at the polls in record numbers on Tuesday, November 6, for the 2018 midterm elections. But strong voter turnout did not necessarily drive support for libraries at the voting booth. 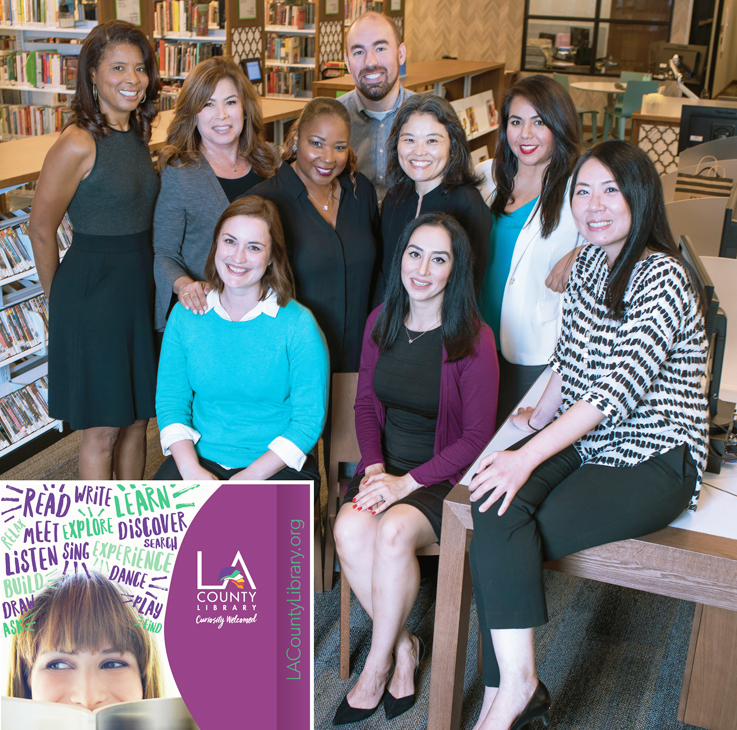 LA County Library’s marketing team is the LJ 2018 Marketer of the Year. It’s a fact. American voters have become less enthusiastic, less engaged, and less united in their support for libraries over the past decade. That’s what From Awareness to Funding, Voter Perceptions and Support of Public Libraries 2018, a study by the American Library Association, Public Library Association, and OCLC, tells us. Legislation to be put forward in January, 2019 proposes a $50 million permanent state fund to provide some $50,000 per year for more than 40 rural community libraries across New Mexico. 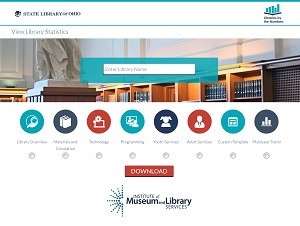 The State Library of Ohio has launched Libraries by the Numbers (LBTN), a web-based data visualization tool that enables users to create custom infographics about individual library systems using data drawn from their Institute for Museum and Library Services (IMLS) Public Library Surveys. If you haven’t yet read From Awareness to Funding: Voter Perceptions and Support of Public Libraries in 2018, please put it on the top of your to-do list. Released in March by the Public Library Association (PLA) and the American Library Association Office for Library Advocacy, in partnership with OCLC, it updates the findings of the initial Awareness to Funding report done in 2008 with startling insights into how voters connect to libraries or—more concerning—increasingly don’t. The 2018 “From Awareness to Funding” study should inspire deep reflection within the library community about how we have been doing public outreach, voter engagement, and everyday advocacy over this past decade. The U.S. Senate has voted to keep net neutrality protections in place, using the powers of the Congressional Review Act to block the Federal Communications Commission’s December 14 overturn of the 2015 Open Internet Order. UPDATE: 3/26/18: On Friday, March 23, President Trump signed a $1.3 trillion spending bill for FY18—after first threatening to veto it in an early-morning tweet. The bill will, among other provisions, keep the Institute for Museum and Library Services (IMLS) and other government-funded culture and education agencies afloat through September. Jeanne Marie Ryan has some advice for anyone who wants to get anything big done: “It pays to be persistent—and keep smiling as you go back to people.” That approach served her well as the chief strategist for and coordinator of the New Jersey Library Construction Bond Act. “She’s the Godmother of our first-ever library bond act,” says nominator Chris Carbone, director of the South Brunswick Public Library, NJ. A full 90 percent of all library referenda tracked by political action committee EveryLibrary and LJ passed in 2017. It’s worth taking a moment to reflect on the astounding support that number represents as it encompasses results in both blue and red states, cities large and small. 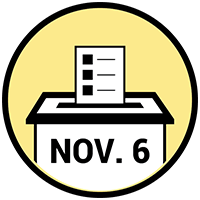 The past two years have seen more than 100 U.S. libraries place budget referenda on their local ballots; LJ tracked 54 wins out of 79 measures in 2016 and 31 wins out of 36 in 2017. 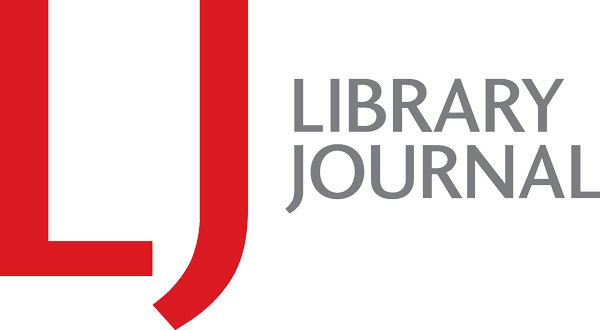 LJ reached out to several libraries that succeeded with their initiatives in the past decade to find out how they did it. Libraries saw unprecedented success in the voting booth in 2017. Can we keep the momentum going? The FY19 budget request released on February 12 by the Trump administration calls for the defunding of the Institute of Museum and Library Services (IMLS), as well as a number of other programs relevant to libraries, just as it did last year. The 2018 American Library Association (ALA) Midwinter meeting returned to Denver for the fourth time since 1982, offering attendees a range of programming from high-name-recognition speakers to a controversial President’s Program to a lively assortment of forward-looking symposia sponsored by the Center for the Future of Libraries. Library Legislative Day in Kentucky on February 15 will give directors and advocates their first real chance to push back against Gov. Matt Bevin’s recent FY18–20 budget proposal, which seeks to eliminate every penny of the $2.5 million currently earmarked for direct state aid to libraries. On January 31 the Aspen Institute Dialogue on Public Libraries (DPL) released “Libraries: Building Community Resilience in Colorado.” The report presents the findings of The Aspen Institute Colorado Dialogue on Public Libraries, a meeting of community stakeholders and library leaders held on May 25, 2017, and builds on DPL’s work examining the evolving roles of public libraries and developing models to drive discussions between libraries and their communities. The Museum and Library Services Act of 2017 was introduced in the Senate on December 21 by Sen. Jack Reed (D-RI), along with Susan Collins (R-ME), Thad Cochran (R-MS), Kirsten Gillibrand (D-NY), and Lisa Murkowski (R-AK). The bipartisan bill, S. 2271, reauthorizes the core programs administered by the Institute of Museum and Library Services (IMLS): the Museum Services Act and the Library Services Technology Act (LSTA), which provides more than $183 million in funding through the Grants to States program; National Leadership Grants for Libraries; the Laura Bush 21st Century Librarian Program; and Native American Library Services. The agency has been a source of support for public, academic, research, special, and tribal libraries, as well as some 35,000 museums. We spend a lot of time as the year turns reflecting and anticipating what’s to come. This year, such reflection is intensified by a seemingly relentless assault on basic rights in a polarized political climate. This calls on us to fight for what our communities need as never before. 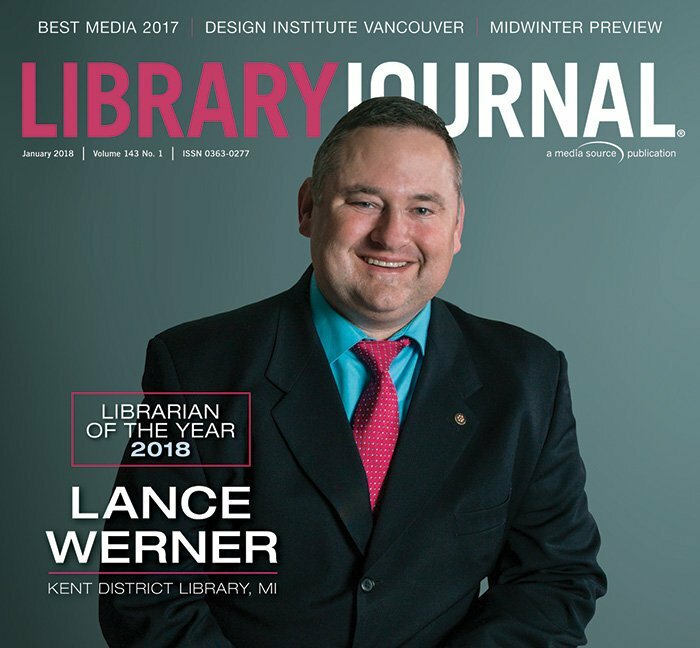 If you ask Lance Werner, executive director of the Kent District Library, MI, and LJ's 2017 Librarian of the Year, what makes him a strong leader, an effective legislative advocate, and a champion of access for his patrons, his answer is simple: it’s all about forming relationships. The 2017 EveryLibrary Artist In Residence, Kevin Moore, is an editorial cartoonist and has been a reference librarian at Portland Community College, OR, since 2007. Moore was invited to create a series of weekly editorial cartoons focusing on library-related issues from September 4 through November 7; the cartoons are available for library supporters to use, copyright-free, in their advocacy work. The Federal Communications Commission (FCC) today passed the “Restoring Internet Freedom Order” (RIFO), overturning the 2015 Open Internet Order, a regulatory framework established during the Obama administration that gave the FCC the power to enforce “net neutrality,” defining broadband Internet as a utility similar to electricity or water, and requiring Internet Service Providers (ISPs), such as Comcast, Verizon, and AT&T, to treat all data traffic on the Internet equally. Marking its fifth anniversary on September 5, EveryLibrary, a nonprofit political action committee dedicated to building voter support for libraries, announced its One Million Americans For Libraries Campaign. On October 3 the American Library Association (ALA) launched the ALA Policy Corps, an initiative that will bring together a core group of library practitioners from across the field and help them develop a deep expertise in public policy issues. When President Donald Trump released his preliminary budget proposal for FY18 in March, revealing major cuts to government spending that would have eliminated support for the Institute of Museum and Library Services (IMLS), the library community took the threat as a call to arms. The dynamic response paid off on September 14, when the full House of Representatives voted to approve a spending package, H.R. 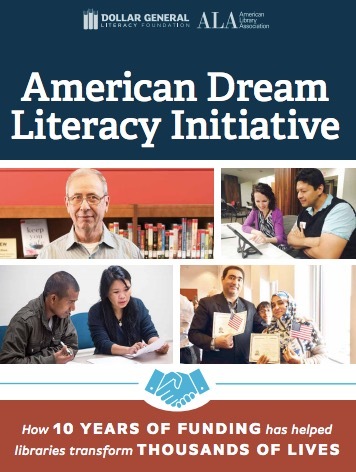 3354, that would preserve federal funding for IMLS at FY17 levels, as well as all funding for its programs under the Library Services and Technology Act (LSTA) and the Department of Education’s Innovative Approaches to Literacy (IAL) Program. In the second quarter of 2017, Facebook grew to more than two billion monthly active users, including 236 million in the United States and Canada—two-thirds of the combined population of those countries. According to a recent report in Forbes, Twitter’s growth has been slowing somewhat, but the number of average monthly active users on the platform grew five percent year-over-year to 328 million worldwide in Q217. According to a recent report in TechCrunch, Instagram has doubled its user base during the past two years, reaching 700 million monthly active users this spring. Social media is where people are online, so libraries need to be there, too. U.S. libraries battle unprecedented challenges to federal support; you can help—and if you don't have a copy yet, you can download and print the PDF of our poster, sponsored by Gale Cengage, highlighting services that libraries stand to lose without federal funding. These services were drawn from states' 2013–17 plans for Library Services and Technology Act (LSTA) funds granted by the Institute of Museum and Library Services (IMLS). Read it, post it in your library or around your community, and start a conversation. 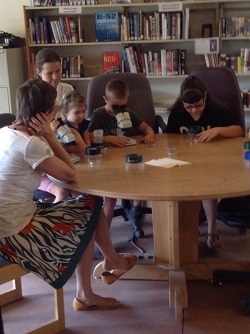 Do your stakeholders know what your library does for them? In the United States, libraries are under unprecedented threat, and the response from advocates has been tremendous. As the 2018 federal budget, with its dark promise to shut down the federal Institute of Museum and Library Services (IMLS) as well as other key federal bodies, makes its way through the House and Senate, advocates have been moving the needle, with waves of activity intended to compel the right decision-makers at the right time. U.S. library advocates battle unprecedented challenges to federal support; you can help. With FY17 and FY18 and presidential and congressional budgets all jumbled together in the news cycle, it can be tough to keep track of what’s still on the table and when it needs attention. At right is a time line of what to expect in the fight for federal funding for libraries. 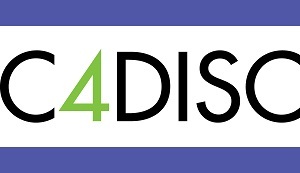 While it’s accurate as of press time, the situation has been changing rapidly, so sign up for the American Library Association’s Washington Office District Dispatch e-newsletter to get the most recent updates. Since its founding in 2012, EveryLibrary, the only political action committee (PAC) for libraries, has mainly focused on helping libraries win elections for local funding levies, building and operating referenda, and independent taxing districts—the bread and butter of American library support at the local level. But the threat to national funding demanded a different approach. On May 17, some 25 publishers, technology vendors, trade associations, and other businesses serving the library market announced the formation of the Corporate Committee for Library Investment (CCLI) to advocate for federal library funding. On July 13, the House Appropriations Subcommittee on Labor, Health and Human Services, Education, and Related Agencies voted to recommend level funding in FY18 for IMLS, likely including $183 million for the Library Services and Technology Act (LSTA) and $27 million for the Innovative Approaches to Literacy program. The full Appropriations Committee markup and vote took place on July 19; the budget passed 28–22. While the vote was an important step toward securing federal library funding going forward, the fight is not over, says ALA president Jim Neal. At ALA’s recent annual conference, ALA’s Washington Office (WO) reported to Council that the 2017 National Legislative Day was the biggest ever. 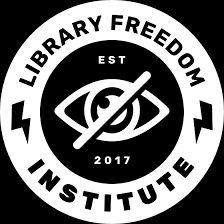 But if you missed it, fear not—WO and ALA as a whole also have many tips for how local librarians on the front lines can get involved with the fight for federal funding from their hometown without traveling to DC. For more tools and tips, see ALA’s Fight for Libraries! Campaign Tools. As executive director of United for Libraries (UFL), the American Library Association (ALA) division that supports library trustees, advocates, friends, and foundations, Sally Gardner Reed has been the organization’s driving force since 2002. Reed will be retiring at the end of July, having seen the organization grow and change greatly over the past 15 years. Being able to easily get their hands on materials needed for job hunting, financial or legal research, or college applications, whether or not their local branch has them, saves library patrons in Connecticut money and time. In many cases, it may be their only option. LYRASIS last month named the first recipients of its $100,000 LYRASIS Leadership Circle’s Catalyst Fund, which was created to support new ideas and projects by LYRASIS members. The majority of the offerings at the American Library Association (ALA) Annual Conference in Chicago focused on libraries and library-related content based in the United States and Canada. A notable exception was the International Relations Round Table (IRRT) Chair's Program, “Acting for Humanity: The United Nations Sustainable Development Goals and Libraries,” which took a look at how libraries both domestic and abroad are working to address the 2030 Agenda for Sustainable Development Goals (SDGs) developed by the United Nations (UN) Development Programme. Salesmanship is rarely considered the work of academic librarians. Librarians responsible for outreach and building connections with students and faculty might benefit from embracing the idea they have something worth offering and then selling it. Looking beyond the headlines to examine public policy issues that affect the American Library Association (ALA), panelists at the ALA Office for Information Technology Policy (OITP) session “Report from the Swamp: Policy Developments from Washington” discussed the need for ongoing vigilance—and also promising avenues for advocacy. United for Libraries (UFL), the division of the American Library Association that supports library trustees, Friends, and foundations, recently filled two major leadership positions. Skip Dye, VP of library marketing and digital sales at big five publisher Penguin Random House, was elected 2018–19 UFL president, and will serve as president-elect during 2017–18. 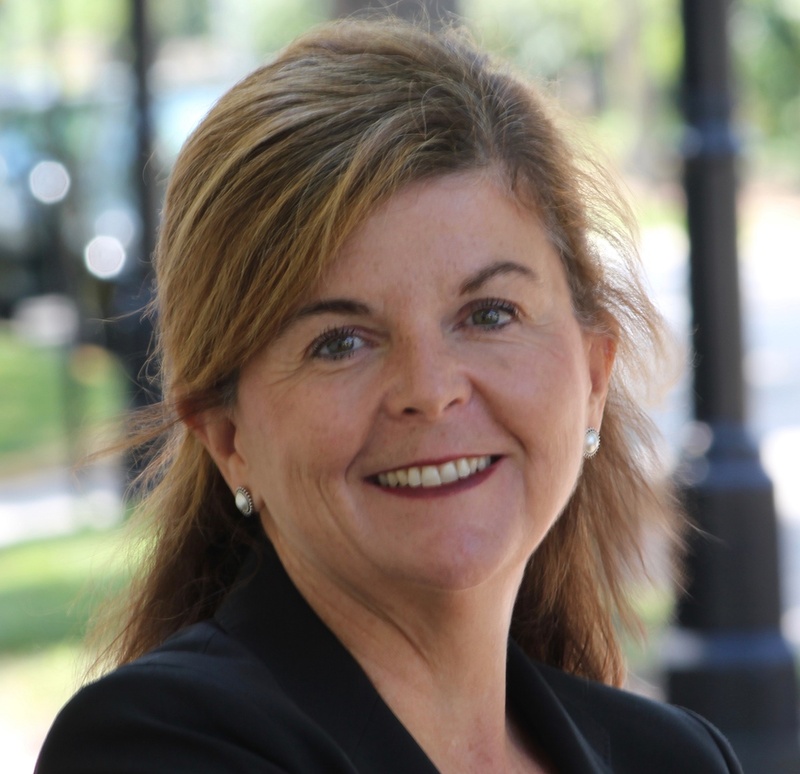 Beth Nawalinski, who has served as UFL deputy executive director since 2015 and has led the division’s revenue-producing programs, internal and external communications, and membership retention and growth, will step in as executive director July 31 to succeed retiring ED Sally Reed. Library staff are the folks who love to talk about books. The more people we reach and can inspire, the happier we are. We also love to talk about libraries and their place in our society and share ideas about how to make libraries a better place for our users. On June 5, Kathi Kromer stepped into the role of associate executive director of the American Library Association (ALA)’s Washington Office, succeeding Emily Sheketoff, who led the Washington Office for more than 17 years and retired on May 15. In what New York City Mayor Bill de Blasio called the earliest budget agreement since 1992, on June 6 New York City Council voted to adopt the city’s FY18 budget, which will include $110 million for capital projects in libraries across the city, more than doubling capital library funding. Aiming to raise awareness and maintain momentum for preservation efforts focused on publicly administered data, the inaugural "Endangered Data Week" kicked off on April 17 and ultimately featured more than 50 presentations, panels, and projects in the U.S., Spain, and Australia. Voting for the American Library Association (ALA) 2018–19 presidential election closed on April 5, with Loida García-Febo winning the role of president-elect. A total of 9,123 ballots were cast among the candidates— García-Febo, Terri Grief, and Scott Walter—significantly down from last year’s 10,230. At the March for Science on Earth Day, April 22, and the Climate March held the following week, thousands of participants took to the streets in cities around the world, voicing their support for policies and practices based on scientific principles, government funding of research, and open dissemination of the resulting data. In those crowds, librarians, archivists, and other information professionals were well-represented. The Urban Librarians Unite (ULU) conference in Brooklyn last month clarified the need for library advocates to engage in new ways, expand the network of library support, and focus on tactics for further establishing libraries’ value in our disrupted culture. Outcry over the destruction of so many publicly funded cultural institutions is almost deafening. We must find ways to make our voices resonate. November's presidential election led to a surprising result for many. Even among those who voted for the current president-elect, a lot of people did not actually expect him to prevail over a former senator and secretary of state. And almost immediately, everyone from regular people to media pundits were chiming in on what the election will mean for the country. The theme of the Urban Librarians Unite (ULU) 2017 Conference, held at Brooklyn Public Library’s Central Library on April 7, was Dangerous Librarianship—an appropriate designation for a librarians challenging the status quo. Some 186 librarians from the New York metro area and beyond—including attendees from Massachusetts, Arizona, and California—gathered to share and learn about advocacy, social justice, alternative service models, privacy, leadership, and more. Libraries are always looking for ways to engage and connect with patrons. But understanding the shift from traditional public relations (PR) to today’s customer-centric digital marketing landscape has become a key to successful engagement. If there’s anything the 2016 presidential election cycle taught us, it’s be prepared. We can never underestimate the groundswell of support for an issue, institution, or person who may not support what a library provides to its community; the reliance on fake news rather than on facts (and how easy it is to have it go viral); or the power of emotion over reason. Library for All, a nonprofit organization that has created a digital library solution designed to deliver ebooks and high-quality educational materials to children and readers in developing countries, was recently honored with an Empowering People Award. The global competition held by the Siemens Stiftung foundation is designed to find the most innovative technology solutions currently improving people’s lives in the developing world. While we’re all dealing with presidential election overload and exhaustion, we can’t ever lose sight of the importance of making our libraries an asset to our local elected officials. At their Trustees/Friends luncheon on April 8, the Tennessee Library Association and Friends of Tennessee Libraries (FOTL) jointly honored longtime Friend Julie D. Webb with their Friend of the Year Award, which celebrates a group or individual that has made a significant contribution to a Friends organization and the advancement of libraries in the state. On a long Election Night filled with tension and political upset, 79 libraries across the country had referenda on the ballot. The news for libraries was more good than bad. At press time, 54 had recorded wins and 12 losses, with the remainder either not applicable—representing votes to leave a district, for instance—or still too close to call. In this day and age, with libraries forced to defend their funding either to the voters every election cycle or local municipal leaders every budget season, it is essential for Friends groups to climb the ladder of library advocacy and see themselves as citizens who stand up for their libraries. For some, this will be a natural transition; for others, it is a total redefinition of what it means to be a Friend. When working with political campaigns for EveryLibrary, we are often asked to identify the most important digital tactic for winning campaigns and advocating for libraries. Many of the people who ask expect us to talk about best practices using Facebook or Twitter to reach the public. They are usually surprised to hear we still believe email is the absolute most important tool for digital campaigns. This is true because email is still fundamentally the key to the Internet. Your library’s biggest goal in digital and in-person strategy should be the acquisition of email addresses. Libraries and LEGO have gone together for ages, but libraries made of LEGO bricks are much more rare. So when I received a box containing a little library constructed of LEGO bricks, it got my attention. That alone is a win for any marketing initiative—getting someone to tune in. Good marketing is hard to do, and harder for organizations such as libraries that do so much already with limited resources. When it’s done right, however, both the community and the library benefit. Few libraries were untouched by the economic downturn of the 2000s. As systems began to rebound, however, a challenge was to replace the perception that they were down and out with the new reality of extended hours, replenished staff, and improved services. The strongest marketers among them also focused on the stories behind those comebacks, and information about what users could expect going forward. The Charlotte Mecklenburg Library (CML), in the city of Charlotte and County of Mecklenburg, NC, was determined not just to recover but to come back stronger than ever, to make sure its customers knew it—and to give them a chance to tell their side of the story. Over 400 librarians from across the U.S. and Canada came together at the University of California, Los Angeles (UCLA) on August 10–13 for the National Diversity in Libraries Conference (NDLC), organized around the theme “Bridges to Inclusion.” Co-presented by the UCLA Libraries and the Association of Research Libraries (ARL), this year’s conference was a jam-packed four days of learning, listening, sharing, growing, and strategic planning, providing opportunities for much-needed support and connections among librarians committed to doing diversity work. While many libraries have come up with creative rewards for staff innovation, the Birmingham Public Library (BPL) Innovative Cool Awards do double duty. The monthly award, funded and run by BPL’s ten-member Board of Trustees, is an incentive for staff to develop—and promote—engaging new programs and workshops, and also a way to connect the board with staff. On August 8 Gale, a part of Cengage Learning, announced that it will provide its Analytics on Demand (AOD) service to EveryLibrary, a national nonprofit political action committee for libraries, free of charge, so that it may better analyze data about library supporters in advance of the November elections and on an ongoing basis for future campaigns. On July 21, the Movement for Black Lives’ National Day of Action, a team of four public librarians with backgrounds in social justice launched a new initiative, Libraries4BlackLives (L4BL). Jessica Anne Bratt, branch manager at Grand Rapids Public Library, MI; Sarah Lawton, neighborhood library supervisor for Madison Public Library, WI; Amita Lonial, learning experiences manager at Skokie Public Library (SPL), IL; and Amy Sonnie, adult literacy and lifelong learning librarian at Oakland Public Library, CA, joined forces earlier in the summer to create a website that would bring together library-based advocates who want to support the ideals and activism behind the #BlackLivesMatter movement. Eric Edward Moon, who served as editor-in-chief of Library Journal for nine years (1959-1968) died on July 31 in Sarasota, FL at the age of 93. He was hugely influential in American librarianship for four decades, at LJ, as President of the American Library Association (ALA), and as chief editor at Scarecrow Press. Linked data consulting and development company Zepheira is partnering with several vendors and libraries on the Library.Link Network, a project that promises to make relevant information about libraries, library events, and library collections prominent in search engine results. The service aims to address a longstanding problem. The world’s library catalogs contain a wealth of detailed, vetted, and authoritative data about books, movies, music, art—all types of content. But the bulk of library data is stored in MARC records. The bots that major search engines use to scan and index the web generally cannot access those records. A $600,000 budget cut will force Connecticut’s Hartford Public Library (HPL) to eliminate 10 jobs and curtail Saturday hours at most branches, but swift intervention by Mayor Luke Bronin prevented an even steeper reduction that would have left the system with no choice but to close three of its 10 branches. For the second year in a row, the proposed New York City capital budget provided a healthy allocation for the city’s three library systems. In a handshake agreement announced on June 8, Mayor Bill de Blasio—along with Speaker Melissa Mark-Viverito, Finance Committee Chair Julissa Ferreras-Copeland, and members of New York City Council—presented the proposed $82.1 billion capital budget, which included $43 million in funding for New York’s three library systems. The funding restores and baselines an extra $21 million for libraries in FY17. Since before Ellis Island became the gateway to the United States for many, libraries have served immigrant communities with language classes and learning materials that can help ease the path toward employment and citizenship. Today, those services have expanded to include referrals to city and health-care services, cultural events honoring countries of origin, legal aid, small business and entrepreneurship assistance, and much more. Ten libraries and museums were presented with the Institute of Museum and Library Services (IMLS) 2016 National Medal for Museum and Library Service in a ceremony at the White House on June 1. First Lady Michelle Obama joined IMLS director Kathryn K. Matthew to honor institutions from across the country for outstanding service to their communities, including one academic and four public libraries: North Carolina State University Libraries, Raleigh; Brooklyn Public Library, NY; Madison Public Library, WI; Otis Library, Norwich, CT; and Santa Ana Public Library, CA. Last month, the British Broadcasting Corporation (BBC) released a series of articles on the status of public libraries in the UK. The news is dramatic. More than 300 libraries have been closed since 2010—the reported total of 343 includes 132 mobile libraries, with over 100 more on the chopping block—and almost 8,000 jobs have been lost. The advocacy drumbeat for UK libraries has been sounding for some time, with prominent authors and celebrities offering their support. Staring down the numbers reported by the BBC has spurred a barrage of public and professional response—some reinforcing negative stereotypes and others helping to build the case for more investment. Kansas library professionals, forced to mobilize quickly and using social media to rally support and spread their message, convinced lawmakers to remove language from a fast-tracked tax bill that they said threatened the survival of the state’s seven regional systems and, in turn, promised a trickle-down reduction in services for public libraries. The transition from print to electronic record keeping has made it easier and less expensive to store data and search for information, yet this trend has had troubling implications for individual privacy and the security of personal data, explained Mariko Hirose, staff attorney for the New York Civil Liberties Union (NYCLU) during the "Privacy Toolkit for Librarians" seminar held on March 22 at Long Island’s Farmingdale Public Library (FPL). Co-sponsored by the Greater New York Metropolitan Area chapter of the Association of College and Research Libraries (ACRL) and the Long Island Library Resources Council, the half-day event included presentations by Hirose and Library Freedom Project director and 2015 LJ Mover & Shaker Alison Macrina, covering topics including electronic surveillance, records subpoenas, and ways in which libraries can protect their patrons. A new report published March 29, “Core Customer Intelligence: Public Library Reach, Relevance, and Resilience,” brings together market segmentation from ten public library systems across the United States to explore how libraries can examine and act on granular data about their core customers—the 20 percent of cardholders who check out the most physical materials. Using 2014 customer and checkout data to group top library users by lifestyles, interests, preferences, and behaviors, the study drills down into community demographics to reveal that core customers aren’t found in any one segment of the population but occur across all lines, reflecting the diversity of their communities. On March 15, the Plainfield Public Library District (PPLD), IL, failed to pass two referenda—a bond measure and a property tax increase—needed to raise money for a new library building. The ticket fell victim to a Vote No campaign consisting of mailers and last-minute robocalls funded by Americans for Prosperity (AFP), a right-wing super PAC (political action committee) with an antitax agenda. Behind AFP lies tens of thousands of dollars from the billionaire Koch brothers, lifelong Libertarians who heavily oppose taxes, social services, and industrial oversight, among other government functions. At EveryLibrary, we know from nearly 50 library campaigns, as well as surveys of libraries nationwide, that the perception of librarians matters as much as the perception of the library itself in how voters act on Election Day. President Barack Obama’s Fiscal Year 2017 (FY17) budget request to the U.S. Congress, released on February 9 by the U.S. Government Publishing Office and the Office of Management and Budget, included $230,000,000 for the Institute of Museum and Library Services (IMLS). Of the total FY17 appropriations request for IMLS, $228,593,000 is allocated for programs and administrative costs authorized by the Museum and Library Services Act (MLSA), which comprises the Library Services and Technology Act (LSTA) and the Museum Services Act (MSA). Some $182,429,000 would go toward programs authorized by LSTA: grants to state library agencies, Native American and Native Hawaiian library services, the Laura Bush 21st Century Librarian Program, and National Leadership Grants for libraries.